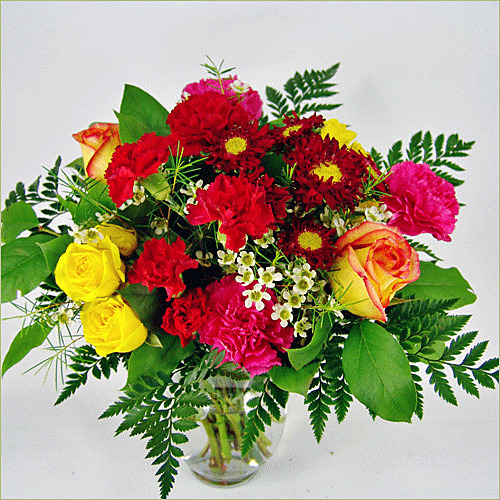 A lovely medley of the flower family, this bouquet has carnations, roses, and asters. Let their colors take you away to Fields of Bounty! Standard Bouquet includes 8 stems. Deluxe Bouquet includes 10 stems. Premium Bouquet includes 12 stems.